The nerderati may be getting their virtual knickers in a twist about the iPhone, but preadolescent girls are far more concerned with Tamagotchi’s latest offering, the V4 Connections model. The little virtual pet doesn’t just talk to other Tamagotchis these days. By playing console or online games, owners can win codes to unlock secrets on their pets. They can go to school get a job, get married and procreate. The website <http://www.tamatown.com/> hosts a burgeoning online community. While marketers and agencies prattle on about convergence, our 5 year-old daughters are getting on with it courtesy of Bandai, the makers of all things Tama.. The only upside to the tyrannical hold this little beeping monster has over my daughter is the fact that it has finally given her parents some bargaining power in the form of “no chores = no Tamagotchi”. And I know how to turn off the sound effects. Entry filed under: digital, gaming, media general, virtual worlds. Why Filipinos love online communities	Peeks into Asian homes? A report from the NPD Group reveals video games are penetrating into children’s lives at earlier ages, with some kids beginning to play at the ripe old age of two years old. Gaming, be it on mobile phones, the computer, set-top or portable consoles, was far and away the most popular activity among children ages 2-14, according to the online survey of that demographic’s mothers. A whopping 93 percent reported their children play some form of video games, and many are comfortable attaining and downloading content digitally. The next closest activity was listening to music, a distant second at 52 percent. 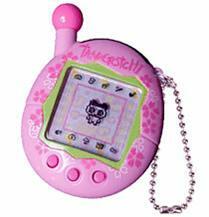 I just LOVE tamagotchis I have a v3 right now but i will be getting a v4. Is there ant big differences between the two?